I can't believe July is almost over. I want to thank you once again for making it so special for me. Not only did you help me celebrate my 36th birthday but you celebrated our new baby news as well. I feel so lucky to have you all in my world. 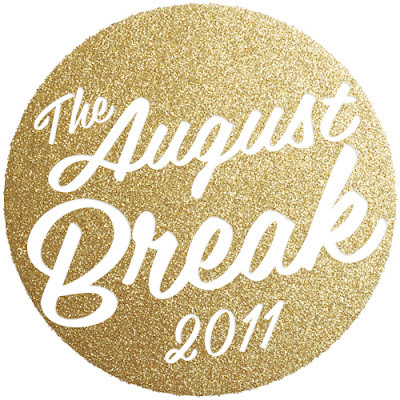 I'll be participating in The August Break and I wanted to let you all know about it. Instead of regular updates, I'll be posting a photo everyday. The break comes at the perfect time since we are moving and we'll be busy decorating our new home. I feel like this photography break will be a fabulous way to document all of the changes that will be happening in our lives this month. Maybe you want to join in too. awesome. I think thats kinda how I blog anyway... but I'm joining in and cant wait to meet all the awesome bloggers! this looks like fun, looking forward to it!